In April 2018, Dr. Jay Dennis brought five messages during our Fresh Encounter revival week. 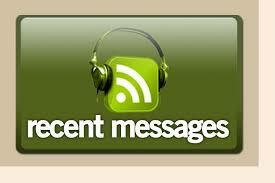 You may listen to the messages or download them below. Click on the message series image below to go to the linked audio page. You may listen to messages on a personal computer. In order to download message mp3's, click on the message first, and then click on the download icon at the top of the audio page. Unless otherwise specified, all messages were delivered by Dr. Steven Harness.